I read this article and found it very interesting, thought it might be something for you. The article is called Japan knifeman kills 20 and injuring 25 in a disability center and is located at http://www.panasiabiz.com/9237/japan-knifeman-kills-20-injuring-25-disability-center/. 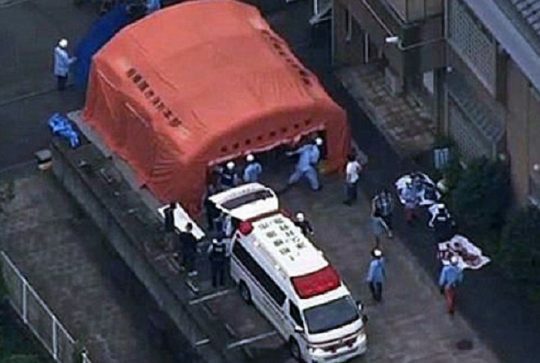 TOKYO – On Tuesday Japan suffered one of the worst mass killing in human history when 19 people were killed and 25 wounded in a knife attack in a city located outside Tokyo. The knife-wielding former employee targeted the care center for the mentally challenged at around 2.10 am when he broke a window of the first floor of the residential building. The 26-year-old man identified as Satoshi Uematsu turned towards the police station within an hour to admit that the massacre was his doing. When asked by the officer he said that the disable should all disappear from the world. Even though no concrete reason has been provided for this heinous crime but local newspaper has reported that he committed the crime because of the resentment he held against the care center for being fired from the job in February. The entire building which rests in the silent province was covered by police cars, fire trucks, and ambulances. Police have marked the facility with yellow ‘keep out’ tape. Local authorities confirm that the 19 people who were killed include nine male and ten female aged between 18 to 70 year. Whereas in the 25 people who were injured 20 people condition remains critical. The doctor has advised the police not to disturb the wounded as they are still in a state of shock. The 26-year-old man was identified by an official from Kanagawa Prefecture when he turned up to the police station along with the knives to admit to the crime. He has been arrested on suspicion of trespassing and attempted murder. The death toll that took place in the facility called the Tsukui Yamayuri-en is home for 150 adult residents who have been suffering from mental disabilities. It’s reported that the police received the call around 2:30 am saying that a man with a knife has entered the building and was senselessly killing people around him. Local media has reported that some months back the accused has sent a letter to the speaker of the lower house where he has threatened to kill 470 physically challenged people. Even though the letter did bring the accused to the police attention but no concrete action was taken by the authorities. This mass attack will go in the history as one of the worst crime committed in the nation after 1938 when a man armed with an ax, sword, and rifle killed more than 30 people.